Yarn's CapacityScheduler is designed to allow sharing a large cluster while giving each organization capacity guarantees. What is the YARN's Capacity Scheduler? 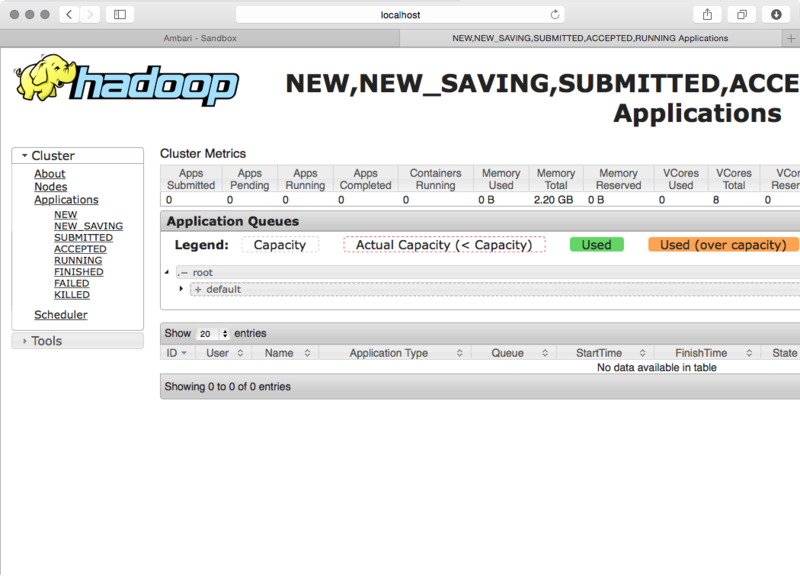 YARN's CapacityScheduler is designed to run Hadoop applications in a shared, multi-tenant cluster while maximizing the throughput and the utilization of the cluster. Traditionally each organization has it own private set of compute resources that have sufficient capacity to meet the organization's SLA. This generally leads to poor average utilization. Also there is heavy overhead of managing multiple independent clusters. Sharing clusters between organizations allows economies of scale . However, organizations are concerned about sharing a cluster in the fear of not getting enaough available resources that are critical to meet their SLAs. The CapacityScheduler is designed to allow sharing a large cluster while giving each organization capacity guarantees. There is an added benefit that an organization can access any excess capacity not being used by others. This provides elasticity for the organizations in a cost-effective manner. Sharing clusters across organizations necessitates strong support for multi-tenancy since each organization must be guaranteed capacity and safe-guards to ensure the shared cluster is impervious to single rogue application or user or sets thereof. The CapacityScheduler provides a stringent set of limits to ensure that a single application or user or queue cannot consume disproportionate amount of resources in the cluster. Also, the CapacityScheduler provides limits on initialized/pending applications from a single user and queue to ensure fairness and stability of the cluster. 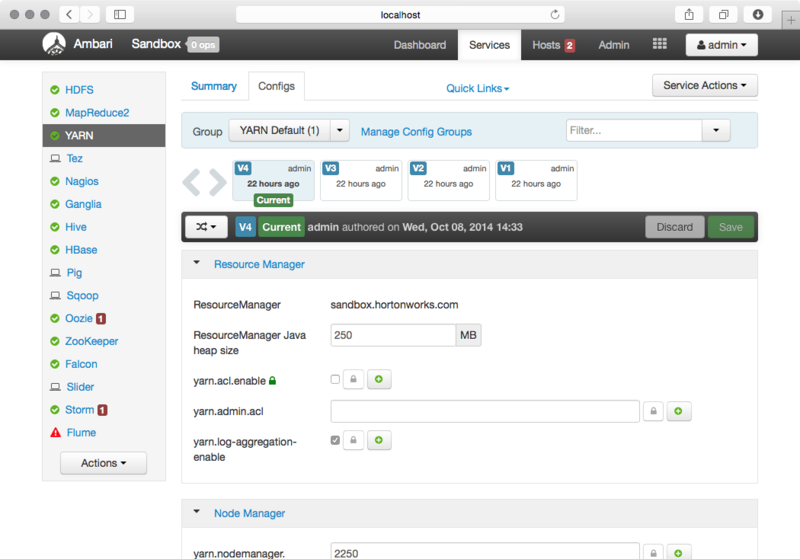 For rest of the tutorial we will use the Ambari hosted on the Hortonworks Sandbox. 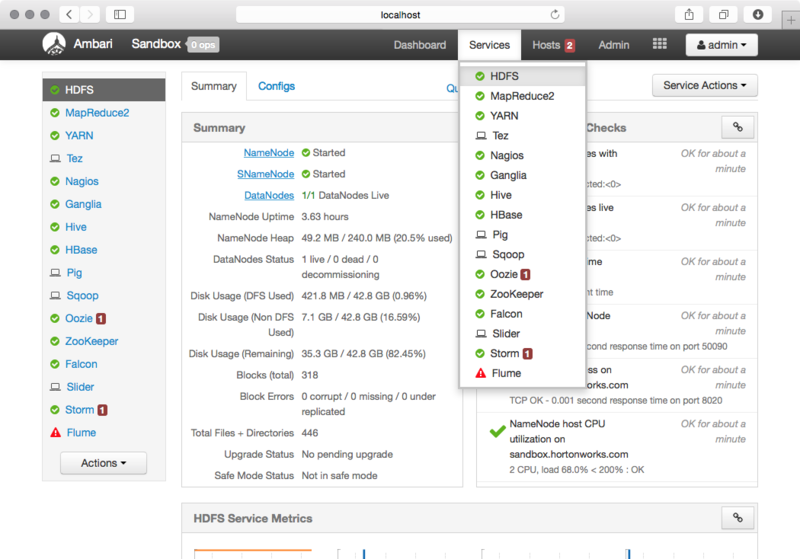 After you spin up the Hortonworks Sandbox, login to Ambari. The default username and password is admin /admin. 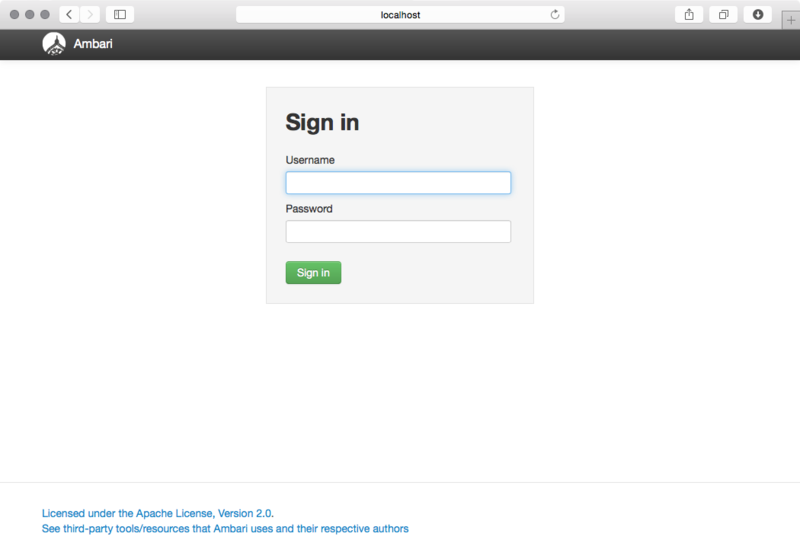 After you Login, you will see the Dashboard. 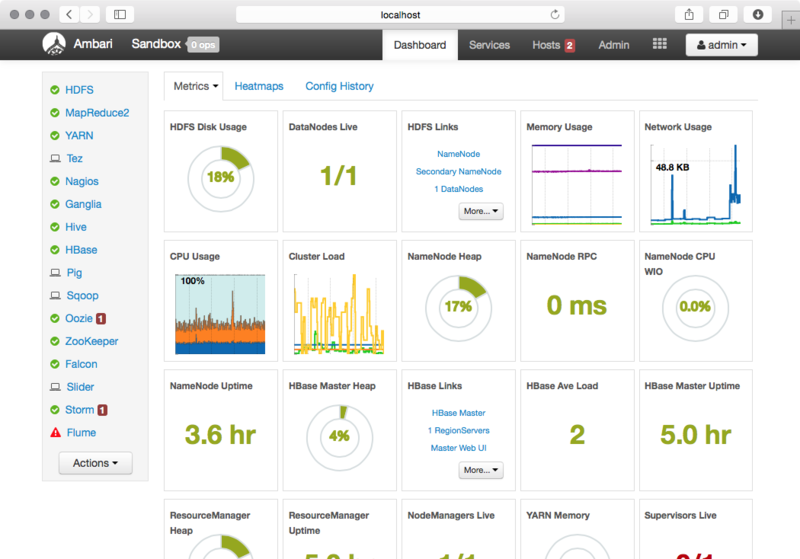 This is an unified view of the state of your cluster. 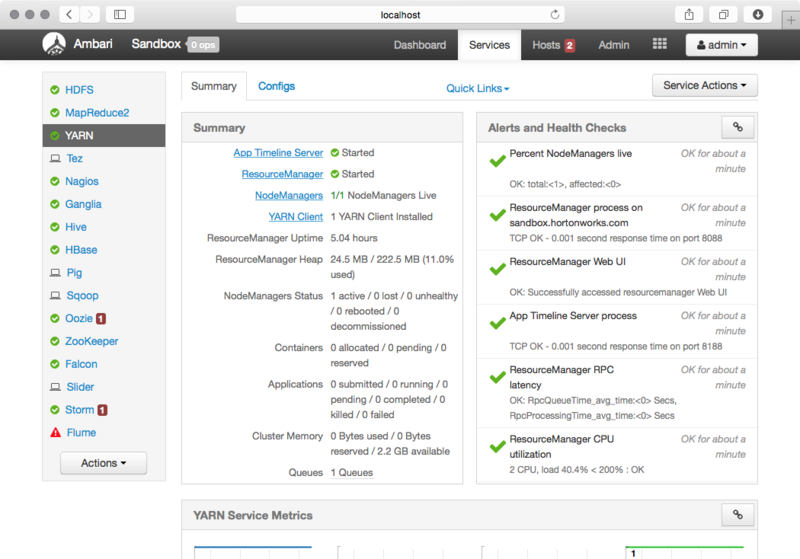 You can drill into specify service dashboard and configuration. 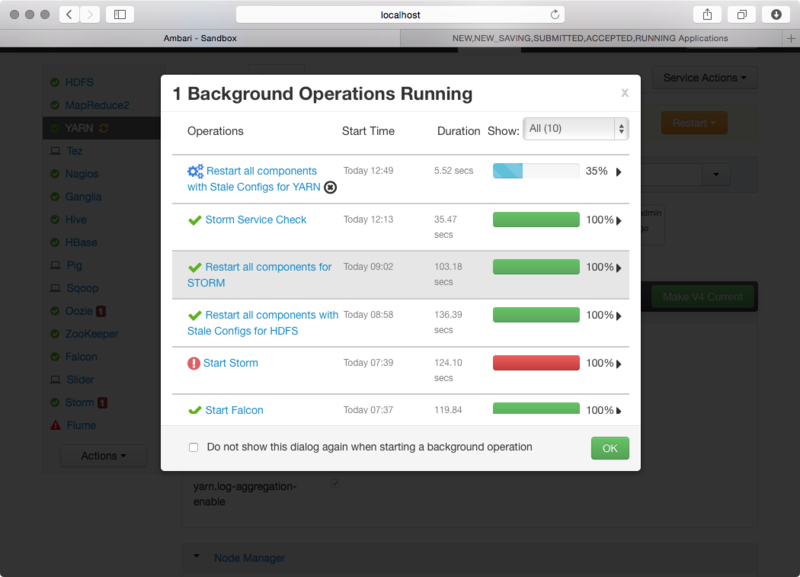 Let’s dive into YARN dashboard by selecting Yarn from the left-side bar or the drop down menu. 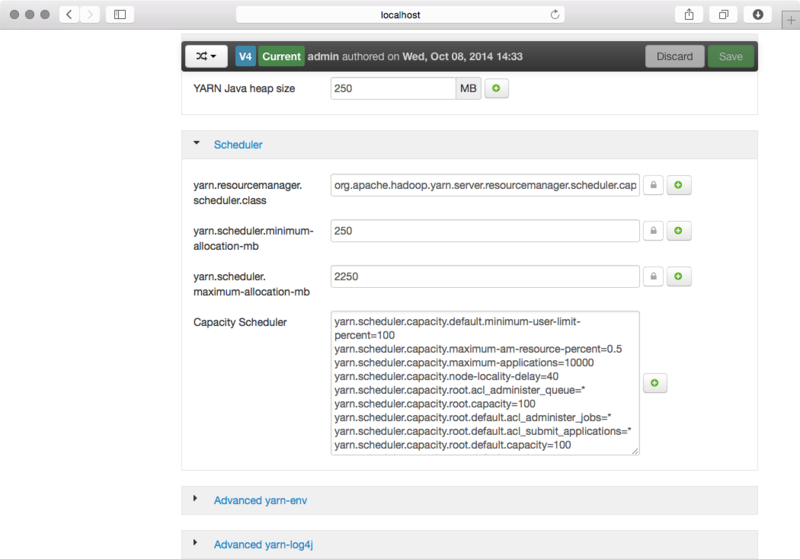 We will start updating the configuration for Yarn Capacity Scheduling policies. Scroll down to the Scheduler section of the page. The default capacity scheduling policy just has one queue. Let check out the scheduling policy visually. Scroll up to the top of the page and click on quick links. 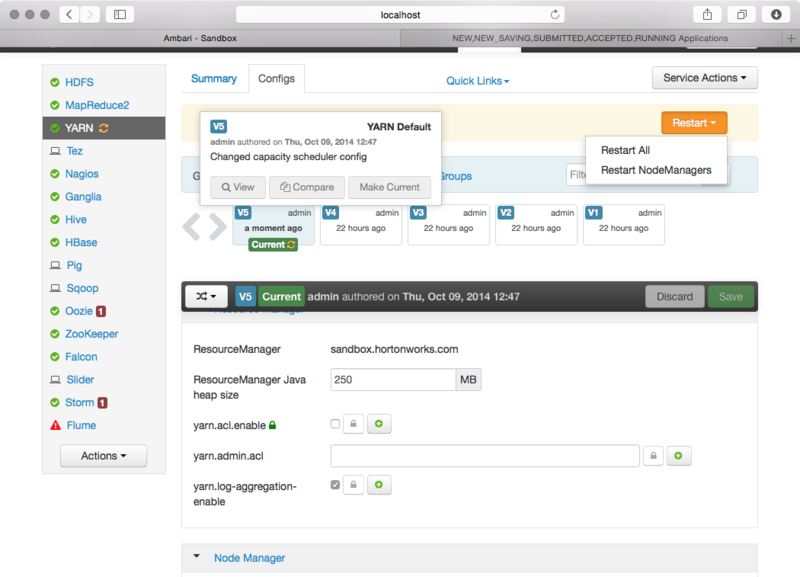 Then select ResourceManager UI from the dropdown. As you can see below we just have the default policy. Also note that there is now a new version of the configuration as indicated by the green Current label. Let’s restart the daemons by clicking Restart All. That's a great idea. 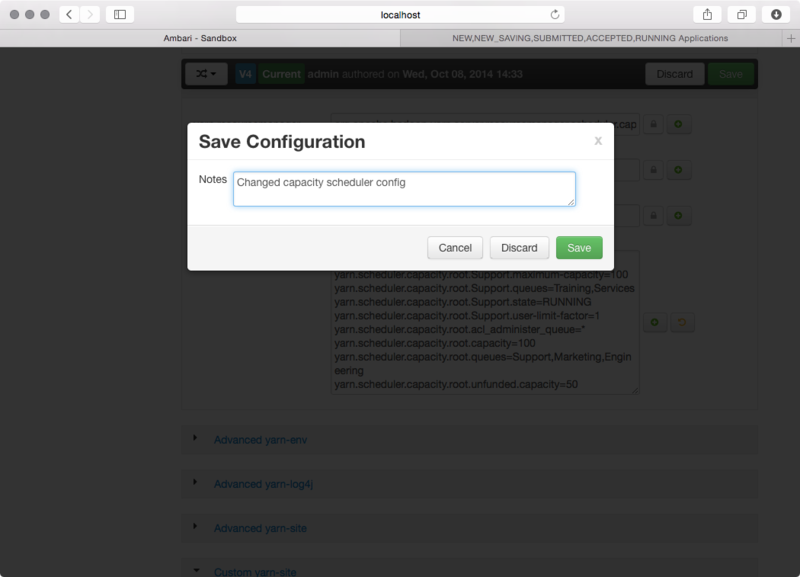 Will create a new tutorial with the Ambari Capacity Scheduler View. I do want to highlight this...User mappings is very important. Managing Capacity Scheduler via text can get messy. And it requires a bit of research by the user to figure out what settings are available. 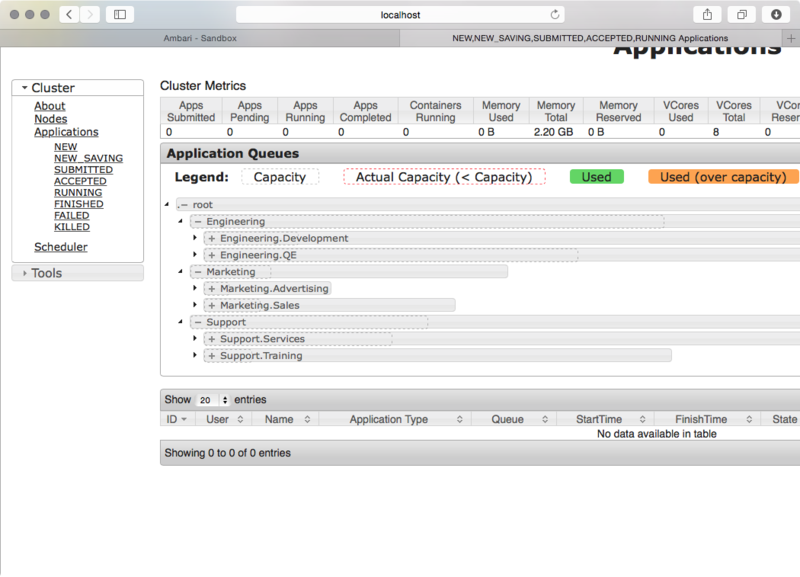 Try using the Capacity Scheduler View in Ambari 2.1+. 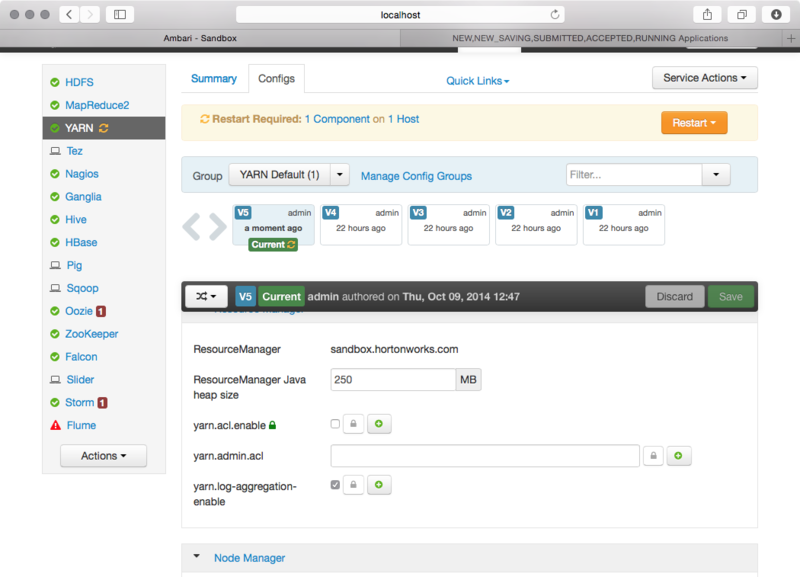 It will make managing queues much more simple. Note: You'll need to set it up first through "Manage Ambari". A sample of a complex Queue Layout. Through this interface, you can also manage newer features in YARN that map users to queues, via ACL. 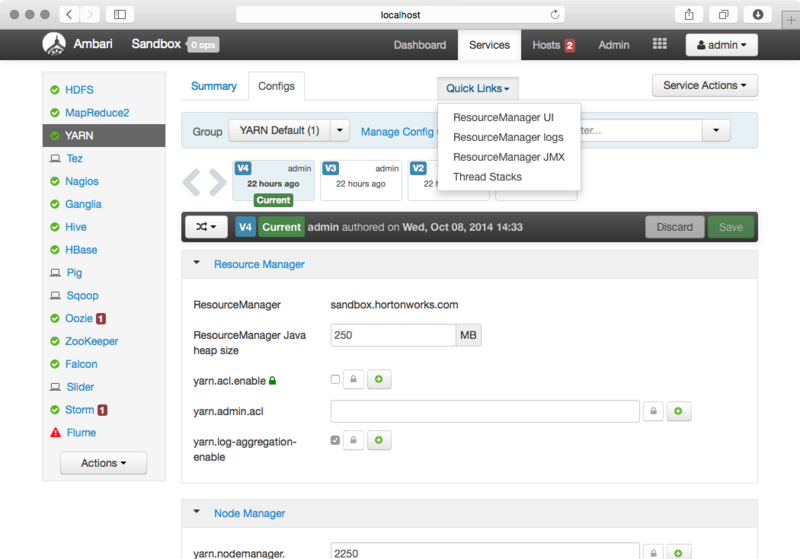 If you're using Ranger to secure HDP, the YARN plugin will extend this capability even more!! !